Use our Textbook Finder to find the rest of your Textbooks! 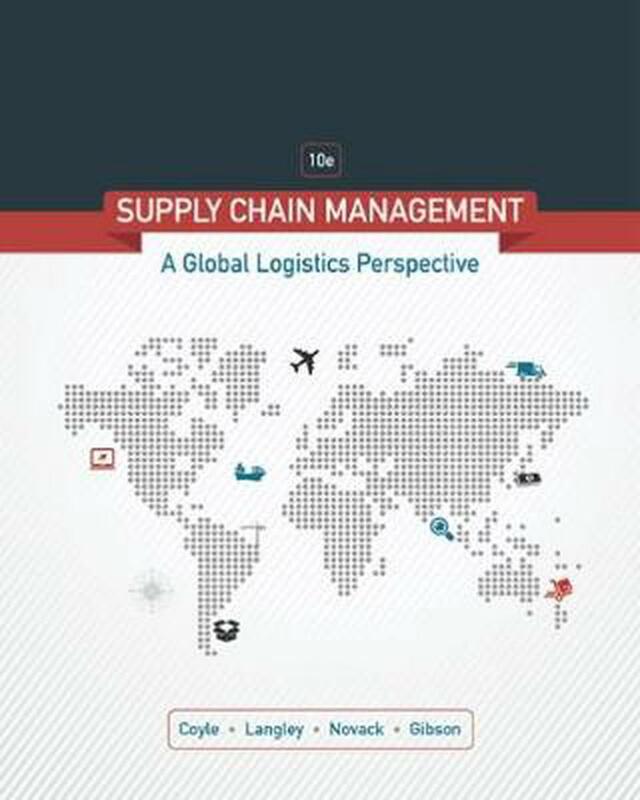 The tenth edition of SUPPLY CHAIN MANAGEMENT: A LOGISTICS PERSPECTIVE refined its focus on the supply chain approach by blending logistics theory with practical applications and includes updated material on the latest technology, transportation regulations, pricing, and other issues. Students are introduced to real-world companies, people and events with applied examples of hands-on managerial experience. "Supply Chain Technology" boxes appear throughout the text assisting students relate technological developments to supply chain management concepts and logistics practices while taking in consideration global changes. Short Cases at the end of each chapter are updated and build on what students have learned in the chapter. Part I. Supply Chain Foundations. Supply Chain Management: An Overview. Global Dimensions of Supply Chains. Role of Logistics in Supply Chains. Distribution and Omni Channel Network Design. Part II. Supply Chain Fundamentals. Operations - Producing Goods and Services. Order Management and Customer Service. Part III. Cross-Chain Logistics Processes. Managing Inventory in the Supply Chain. 10 Distribution. Transportation. Part IV. Supply Chain Challenges and Future Directions. Supply Chain Performance Measurement and Financial Analysis. Strategic Challenges and Change for Supply Chains.